"SAVE NOW!!!! ON A NEW HOT TUB!!!! It's tax season and we're fighting back!!! No Sales Tax & Free Delivery until April 30th!! 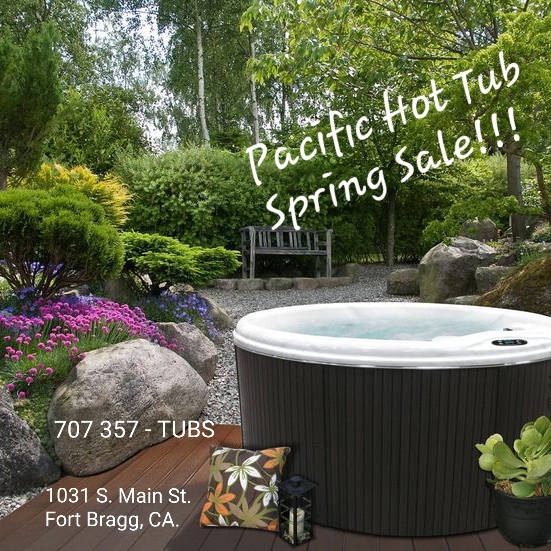 Huge Savings Now at Pacific Hot Tubs !!! 1031 South Main Street Fort Bragg!!! Next to the Fort Bragg Outlet.